Rob: Thanks for the time, Yousry. So is this the first time you’ve run a public company? Yousry: Yes it is. I worked for public companies…Davis and Henderson was public, TD was public, CIBC was public, but it’s the first time I’m in this particular seat. Rob: Have you had a chance to speak with Warren Buffett yet? Yousry: I haven’t talked to Warren but I’ve talked to Ted Weschler, who’s one of [Berkshire Hathaway’s] top two guys. Absolutely genuine good people who are very much behind this company, who stress regulatory compliance…Ted expressed that there’s a very important role in the Canadian marketplace to provide homes to people who can’t otherwise [qualify], so it was a terrific call. But you should also know there are other very major shareholders. I spoke to some of them and again, very much the same themes: let’s do the right thing; let’s build the company the right way. Rob: Anyone putting money into a company that’s had issues with fraud is likely concerned about clamping down on that sort of thing? What’s the plan to address that? Yousry: I don’t start until August 3rd [so] I don’t want to start speculating [on management’s plans]. The B20 guidelines for example, there’s a team assessing it for Home. Until they do, I don’t want to say things that are incorrect about what might change in terms of products, policies, etc. The goal is to get Home to be as capable and as full-product as is possible within the risk and regulatory guidelines that we have. Rob: Let me ask you from a personal standpoint. What is your tolerance for fraud? Yousry: Zero. None. I’ve met the management team ever so briefly and made that statement clear. We have to be completely 100% within the guidelines and that is one of our key pillars. The other pillar I’ve talked about in the press—you might have seen in The Globe—is getting the right culture in the company. Getting people that are very customer focused, who understand the value of mortgage brokers to our life, understand the value of deposit brokers to our life. Treat them very well. Be very, very culturally focused. When it comes to risk management [and] regulatory risk, [I have] zero tolerance for anything that’s not within those guidelines. Rob: So, clearly, rogue brokers are a small, small fraction of brokers out there, but they exist. We all know it. How concerned are you about those brokers who don’t follow the rules when it comes to documentation or whatever? How much of a risk going forward are brokers like that? Have we come to a point where the whole industry is just so intolerant of this activity, knowing what it can do, that the procedures and safeguards are just that much better today than they used to be? Yousry: Look, I can’t speak on behalf of all lenders but at Home, we’re going to come up with…minimum standards of documentation and minimum standards of guidelines, and for us that will be what you’ve got to [abide by] to deal with Home, because the facts have shown there is no other way but to comply by the rules…What other lenders are going to do, I don’t know…but certainly you and I know this, we’ve been in the broker business for a long time. The rules and the guidelines are tougher than they were 10 years ago and tougher than the 10 years before that. I believe since 2008, and I can’t prove this Rob, you might be able to, but since 2008 there’s been more regulatory changes than in the prior 30 years. Rob: Totally agree. Given the reputational challenges that Home’s gone through, why did you want to take this job? Yousry: I felt—and I think a lot of people in the mortgage industry shared this with me—that the nucleus of this company is there. It’s a great company….the core is there. The mortgage book is still performing extremely well. The people are very good. I like those kind of challenges…I seem to join transformation-type companies that want to go from point A to point B and it looks like an uphill line as opposed to a flat line. Kanetix was like that. Filogix was like that. Paradigm from opening day was like that. Street Capital, I was on the board [from the beginning], was like that, TD merging with Canada Trust, and CIBC—it wanted to become number one in customer service when I first joined. It was in last place back then. FirstLine, an innovator in MBS and innovator in being one of the first companies in Canada to deal solely with brokers. It’s all been about taking something that is raw with a market opportunity and creating excellence to meet those opportunities. So Home ticked all those boxes. I was very interested from the second I heard they were looking for a CEO. Rob: I mean, a guy with your skills could go a lot of places and make easier money, right? I mean, it’s safe to say that the more challenges that you’ve got to deal with the more reward and upside there is? Yousry: Yeah. I guess reward and upsides come with any job and are tied to how big the job is. That was not my driver. My driver is…I thought Home had a great product. I thought I have the skills to do that, given my mortgage experience in transformation and Fintech…Fintech and digital are going to be part of everybody’s life whether they like it or not. I thought I could bring that to Home. It’s an exciting job. I don’t know of a more exciting job in the mortgage industry right now and I never feared a challenge…I feel I’ve gotten great support from the mortgage industry in terms of “I’m the guy for the job,” and I want to go out and prove that and make people in the mortgage industry successful with Home again, because of that. Rob: What are your top objectives in the next year with Home? Yousry: You and I know digital is going to be a way that consumers are going to choose either to gather information and/or to buy. As Home gets to the point where we can look at those kinds of strategies, I would like to use digital and Fintech to, first of all, service our suppliers, mortgage brokers and deposit brokers…and [develop] rich in content for consumers trying to find out about mortgages. The more information brokers can get off their phone, the more information depositors can get off their phone, [the better]. It’s [about] looking at the entire digital world and how it’s shaping and to try to make Home ready for that. Everybody has to be ready for it. I think any CEO now that doesn’t have Fintech and digital on their radar, is hiding in the old world. That is a massive part of the strategy but job one is to put us in a place where we can go and look at these things. Job one’s just to get back to being a full time and strong player in the industry. Rob: How much is funding and solidifying additional funding sources a priority? Yousry: It’s another thing I’ve got to look at [and] I do have capital market experience…We’ve got to look at all of the options…What this translates to is the ability to give more choices to brokers and…securitization and the ability to have different securitizations opens up products and opens up the ability for mortgage brokers…[history has shown] when you’ve got a lot of capital market capability you’ve had successful lenders, and when you have successful lenders you have market share increases for brokers. They’re all 100% directly related. Rob: Obviously, rebuilding the deposits, like the high interest savings accounts and GICs, has got to be a top priority. Is that safe to say? Yousry: For sure. I want to get out to the deposit agents who I dealt with many years ago. Some of the players are still there, some are not, but for sure. It’s about going out and communicating what we’re doing and gain their faith back so that they’re comfortable…because it’s obviously one of the key funding strategies for Home. It was in the past. It will continue to be in the future, so we need to make sure we’re on the right path. Rob: I have no doubt Home will regain much of its deposits in time, but if deposits don’t come back fast enough, is there a plan B? 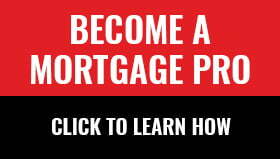 Are there other ways to fund Home’s non-prime mortgages? Rob: There’s been some speculation that maybe the company needs to change its brand name. Has there been any talk about that, or are you guys just going to run with Home Trust? Yousry: I haven’t heard speculation yet but my reaction is I love the name. Home. Home Capital…I was starting a new company and someone came up with this idea, Home Trust, Home Bank, I’d love it. Is it tainted so badly in the industry? Unless I see facts I don’t really know…but I love the name. Rob: Let’s talk volume bonus. I think management cut the volume bonus, perhaps to preserve funds? Is there any talk about when brokers can expect to see the volume bonus come back? Yousry: I have not even opened that…Let me assess and I can give you more commentary. What I’ve said to the rest of the press, Rob, and I’ve got to say to you as well, I will make more comments after a quarter of being in here…I will either have a plan and I can discuss the plan or I will have a better timeframe for when the plan will be complete. And this falls in that category. As you can imagine, there’s a lot of decisions that have to be made rapidly so I’ve got to get in here and understand all the issues, prioritize them and get the whole team working on the same issues. Rob: I think it was BNN the other day that made a comment that you don’t have enough risk management experience. What would you say to that? Yousry: First of all, I do have risk management experience. At TD, I had to have risk management…[and] CIBC [and] First Line. When I was on the board of Canadiana or Paradigm as risk chairman, risk management was an important part of the governance of the board. Most recently I was on the board of Equity Trust. At Equity risk management was key to governance…so I have exposure from that level. But we have really good people here that worry about this all day. That’s what they do for a living and once I get in, if we need to shore up more, we will. If we’ve got the right team, we won’t. I don’t like to contradict anybody’s point of view. My style is, build the operation, build the company and let that talk for itself. 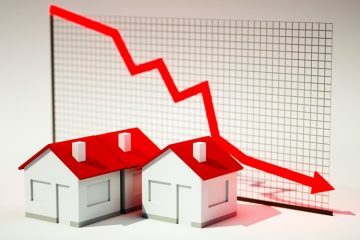 Rob: Do you think that Home Capital ever gets back to the mortgage origination volumes it once had? Yousry: I hope it exceeds them. It won’t be the day after I show up, but the goal is to bring this back to where it belongs, and the example of what to do in alternative lending, to be what everybody else aspires to be. Rob: Do you have any sense for how long that could take? I honestly believe Home can do it but I just don’t know how long it will take. Are we talking a process of years to get back to what Home Capital used to do in mortgage originations? Yousry: This is where that plan comes in Rob, one a quarter from now. I’ll either have a better answer for you a quarter from now, or will have a better timeline to have an answer for you. As you can imagine, I’ve met the board. I’ve been interviewed. The board’s went through a rigorous process before picking me but I haven’t [started yet]. I haven’t had an opportunity to sit down and look at any part of the business yet, and that will happen as soon as I get here [August 3]. Rob: We’ll look forward to circling back for an update next quarter. Thanks again for the chat, Yousry. I know I speak for all brokers in wishing you and Home’s team the best in the quarters ahead. COVER IMAGE: The Canadian Press / Frank Gunn – Photo kindly provided by Home Trust for editorial use. Next ArticleSoft or Hard Landing for the Toronto Real Estate Market?